How do you like the idea of your marketing running itself? Enter referral programs, stage right. Referral programs are a valuable kind of marketing where you offer your current customers a discount or incentive to share your business with friends. It’s a win-win-win situation – for a small discount, you get cheap (or sometimes free) marketing and customers get social validation for recommending something great to a friend, plus the customer is rewarded for their good deeds. Who hates feeling good about themselves and getting discounts? Essentially, your customers do your marketing for you, while you kick back and watch the business come stampeding in. That superyacht might not be so far away after all… and you barely even have to lift a finger. At Transdirect, we’re big fans of rewarding our customers, so we’ve put together the top four benefits of having a referral program. People are 4 times more likely to buy from a business when a friend has referred them. Your customers are sharing the good word about their positive experience with your business. With a great review from friends, people are more likely to choose your ecommerce store over competitors. This improves customer acquisition in itself, but business owners can go one step further and tap into an untouched marketing resource – pairing satisfied customers with an attractive referral program. EyeBuyDirect is a fantastic example of successful referral marketing. 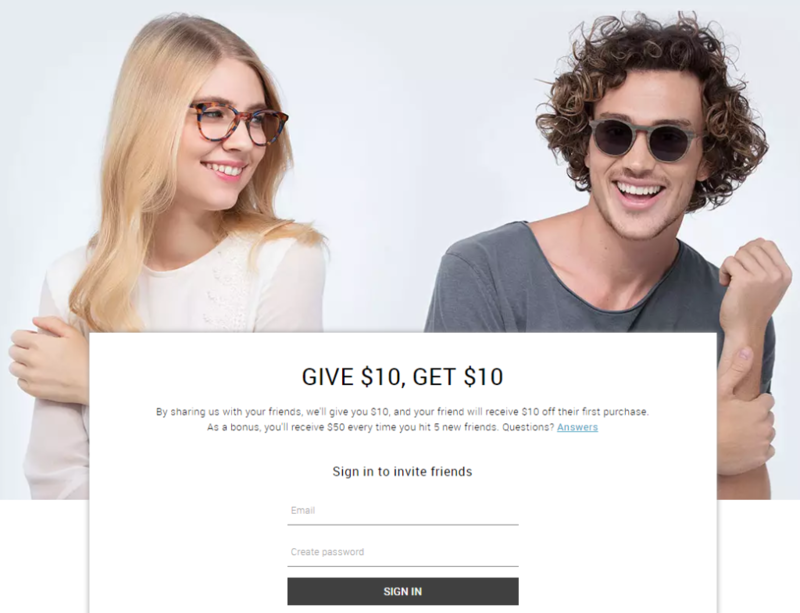 The optical ecommerce store offers a “GIVE $10, GET $10” program that their customers can build on – for example, their customers receive a $50 voucher for every five friends they refer to the business. HelloFresh has a similar program but goes one step further to ensure their referral program reaches as many eyeballs as possible. The healthy food delivery service offers $50 to both the customer and their friends for signing up, but also allows their customers to share the discount code via social media. EyeBuyDirect and HelloFresh reward their customers with discounts and vouchers, but also provides potential customers (i.e. their friends) with an incentive to shop online. Who doesn’t love a discount on delicious food? A referral program can improve customer acquisition at a lower cost than traditional marketing. The program will eat into the profit margin to start with – there’s no denying this. However, ten years down the line when you’re sipping margaritas on your superyacht, you’re not going to be thinking about the money you invested in your referral program, are you? Referral programs are worth doing sooner rather than later. You’ll have built a profitable business with the hard work of your customers, not your wallet. For now – watch revenue grow for the low, low cost of a $10 discount! 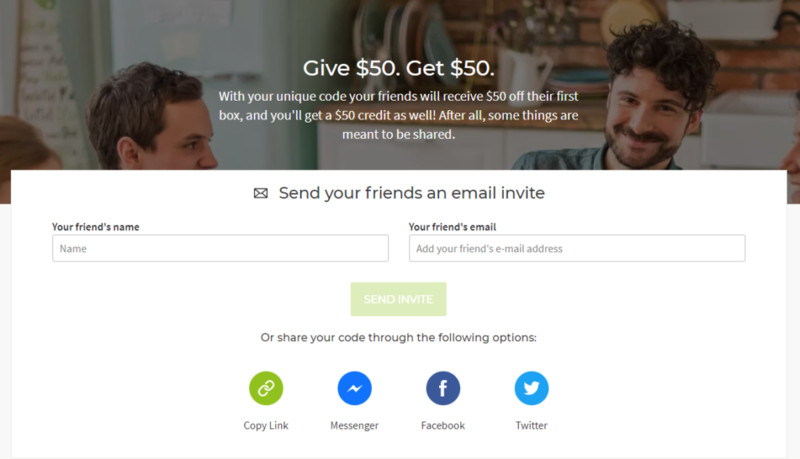 As we mentioned earlier, referral programs reward your current customers, too. Offering products at reduced rates – or, even better, giving them something for free – drives up repeat sales tenfold. EyeBuyDirect, for example, claim 50% of their revenue came from repeat sales in 2013. It pays to reward happy, satisfied customers. At Transdirect, we love spoiling our customers. Transdirect Members get a minimum of 10% and up to 30% off our retail rates off their booking rates as it is, but we also like to provide opportunities for our customers to increase their discount through our referral program. Members can get an additional 10% off their bookings when they refer friends to the Transdirect Members Area. Friends of our customers get 20% off their first booking, plus 10% off all future bookings (if they become a member after the first booking). Continually rewarding your customers is the best way to motivate them to continue shopping with you… However, it’s also perfect for encouraging customers to rave about your business (for something in return, of course). When you offer customers a discount for signing up to your email newsletter, some people are going to sign up just to save a couple of bucks. Once the coupon arrives in their email inbox and they’ve taken advantage of your generosity, you’ll probably never hear from them again. …or you can convince them to refer a friend for an additional discount. mote your referral program and get that customer to come back again with a fresh discount. And, of course, a friend. The more the merrier. Prep the margaritas and the superyacht – marketing just got a whole lot easier. 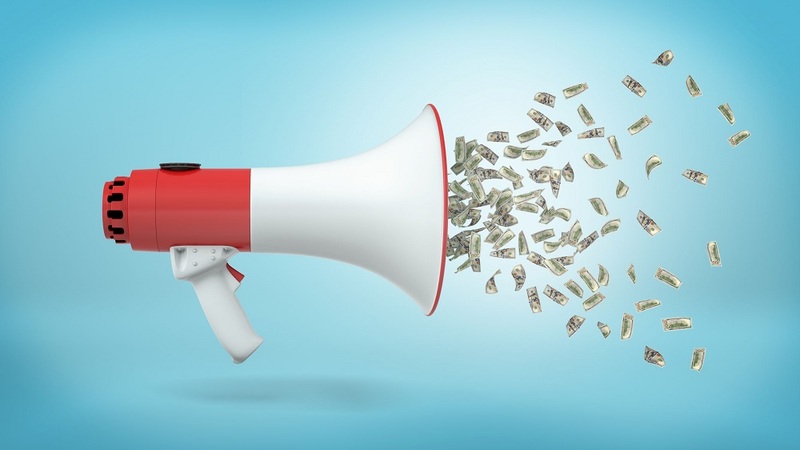 Referral marketing saves time and cash on traditional forms of marketing. Offering a small discount or incentive encourages customers to do your marketing for you – the classic “refer a friend” program can be just what your business needs to take off – and your existing loyal customers are likely to take advantage of the discount in exchange for a referral. Here at Transdirect, our members have a referral program to build on their shipping discounts – not just for marketing, but because we like to reward our members for their loyalty. Want to learn more from Transdirect? We’ve just launched our brand new Starter Guide Ebook – this provides you (and maybe a friend) with all the info you need on Transdirect and the couriers we work with. Want better discounts for your shipping? Join the referral program at Transdirect!